MICHAEL MCCLURE ATTENDED Robert Duncan's poetry workshop at San Francisco State College and through Duncan, met Kenneth Rexroth. He became a regular on the San Francisco poetry scene, and it was McClure who arranged for Ginsberg to speak at the Six Gallery in November 1955. McClure would later gain notoriety for writing the play, The Beard. 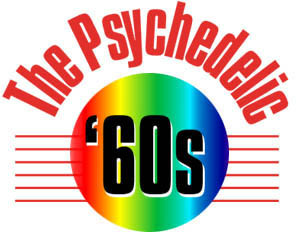 The play was banned and the actors in the early productions were routinely arrested at the end of each performance. 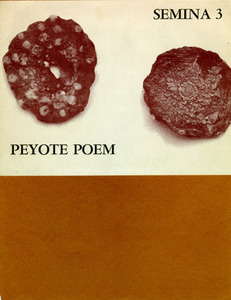 Peyote Poem is one of Michael McClure's first published poems. BOB KAUFMAN DREW his inspiration mainly from jazz music and was often referred to as "the jazz poet." He joined the Renaissance movement and was an integral part of that scene, though Kaufman preferred to recite his poems aloud from memory in cafes and bars. Only at his wife's insistence did he write his poems for publication. Kaufman often had run-ins with the police; in one instance they tore from the window of the Co-Existence Bagel Shop one of his poems that told of how Hitler "moved to San Francisco, became an ordinary policeman, devoted himself to stamping out the Beatniks." Kaufman helped found the short-lived, but influential magazine, Beatitude. 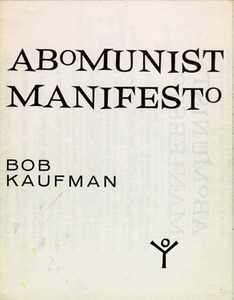 The Abomunist Manifesto is his first published book of poetry. Richard Brautigan. The Galilee Hitch-Hiker. San Francisco: White Rabbit Press, 1958. RICHARD BRAUTIGAN GAINED prominence in the sixties as one of the most celebrated of the hippie writers, but he migrated to San Francisco from his hometown of Tacoma, Washington, at the height of the Beat movement in the late fifties. Here he published several books of poetry in small presses, drawing his inspiration mainly from nineteenth century French poets. 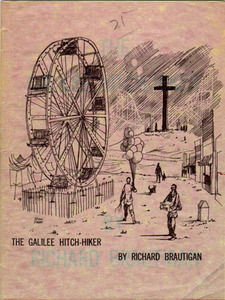 Brautigan's first published work, The Galilee Hitch-Hiker, depicts the French poet Baudelaire hitch- hiking through America. Philip Whalen. Self-Portrait From Another Direction. San Francisco: The Auerhahn Press, 1959. AN INTEGRAL MEMBER of the San Francisco Renaissance, Philip Whalen attended Reed College where he roomed with Gary Snyder. They shared an interest in Zen Buddhism and it was Gary Snyder who invited Whalen to read at the Six Gallery. 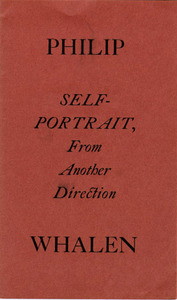 Whalen was inspired, as was Ginsberg, by the poetry of William Carlos Williams, and he acknowledged his debt to the Beat writers: "Other people's ideas of beauty or conventional notions about beauty in any kind of art were being blasted out of my head by the new music and new jazz and new poetry that Allen was actually doing and that Gregory was doing and that Jack was doing and there were these fantastic letters coming in at rare intervals from North Africa from Burroughs to Allen and Allen was reading them aloud and I was looking at them and they popped my head in another direction."